Since the decision of the British people to leave the European Union, advancement of the European project has been the imminent subject within EU politics. However, due to the rising strength of Europesceptic forces, the debate made little progress and few minor reforms have been agreed upon. Against this backdrop, the “RelaunchEU” project – commissioned by the Friedrich-Ebert-Foundation – maps the scope for reforms in the EU-27. 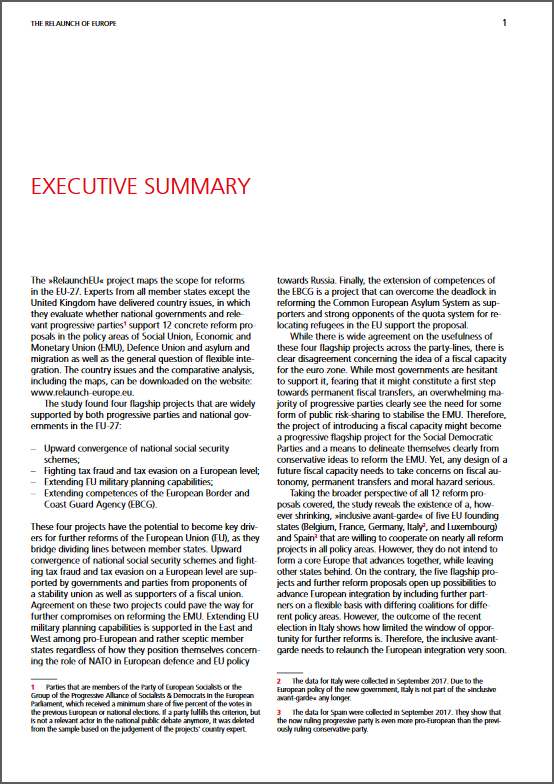 Experts from all member states except the United Kingdom have delivered country issues, in which they evaluate whether national governments and progressive parties support 12 concrete reform proposals in the policy areas of Social Union, Economic and Monetary Union, Defence Union and asylum and migration as well as the positions regarding flexible or differentiated integration. The study found four flagship project that are widely supported by both progressive parties and national governments in the EU-27. 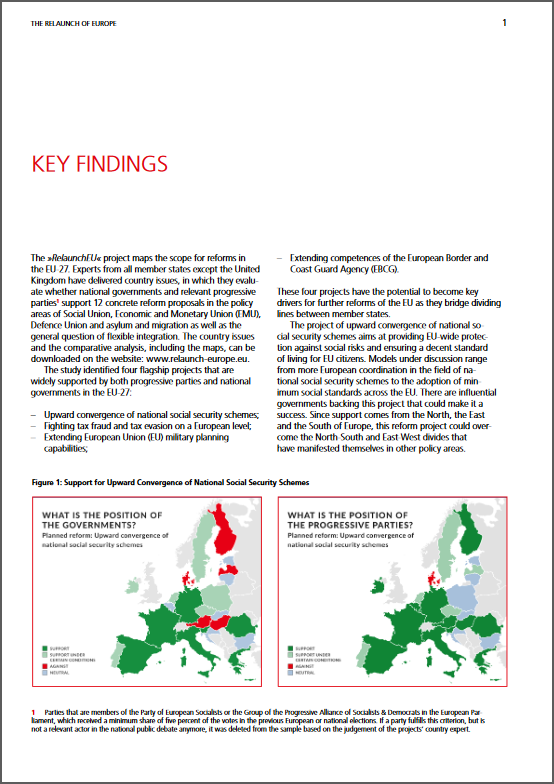 Extending competences of the European Border and Cost Guard Agency (ECBG). These four projects have the potential to become key drivers for further reform of the EU, as they bridge dividing lines and conflicts between the member states. 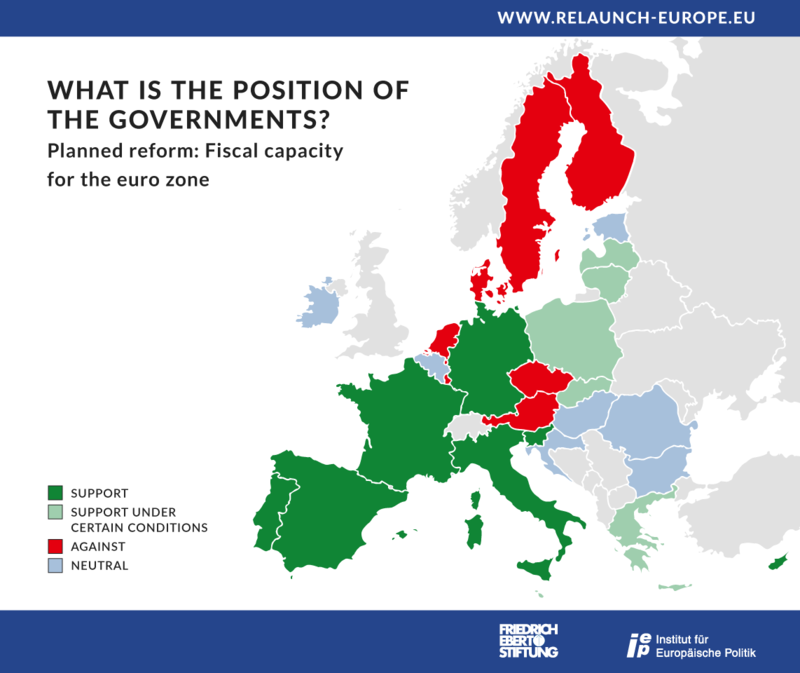 Taking the broader perspective of all 12 reform proposals covered, the study reveals the existence of a, however shrinking “inclusive avant-garde” of five funding states (Belgium, France, Germany, and Luxembourg) and Spain. 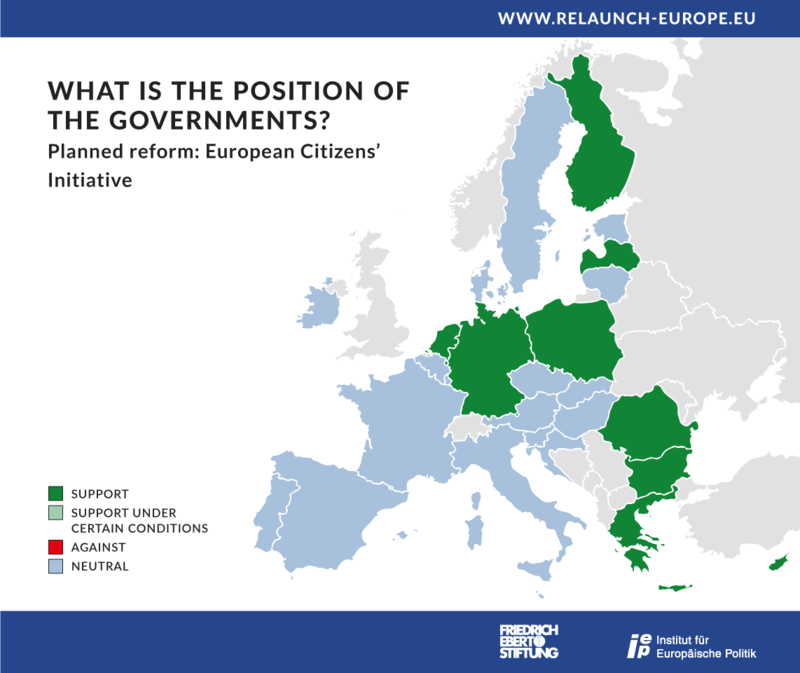 These states are willing to cooperate on nearly all reform projects in all policy areas. However, they do not intend to form a core Europe and leave other states behind. 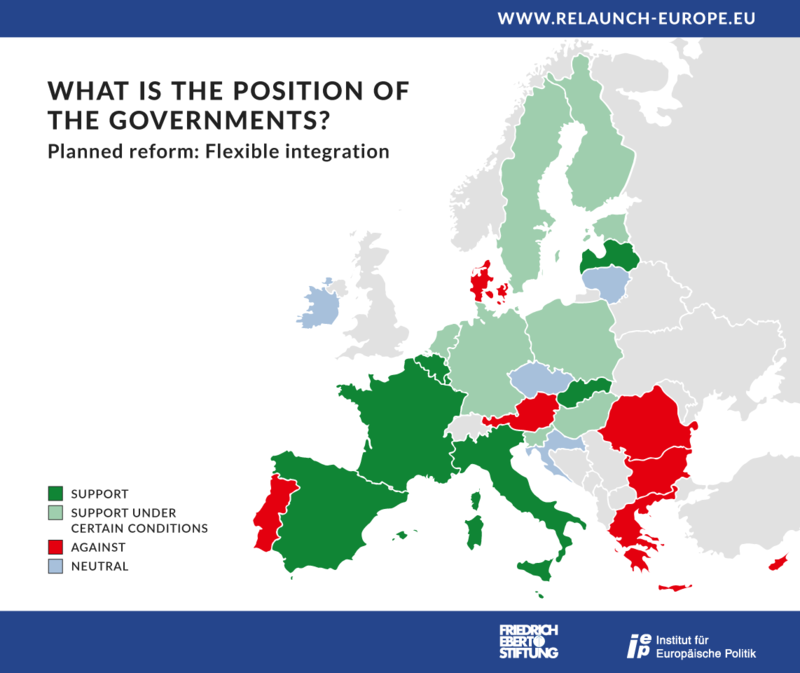 On the contrary, they could include further member states on a flexible basis and form different coalitions for different reform projects. 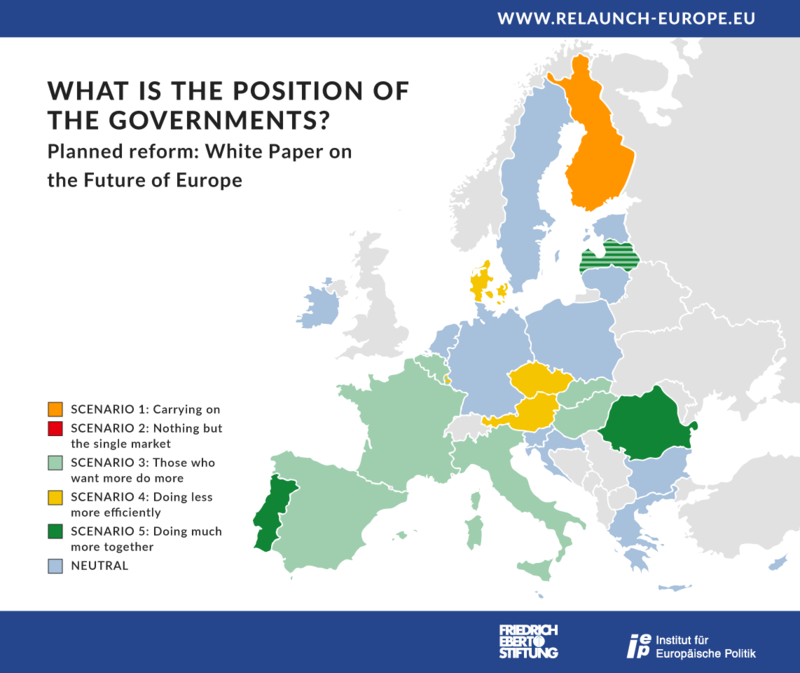 As the more sceptical member states are anxious to be left behind, the “inclusive avant-garde” could generate traction for a broader reform in the face of increasingly influential Europesceptic actors. 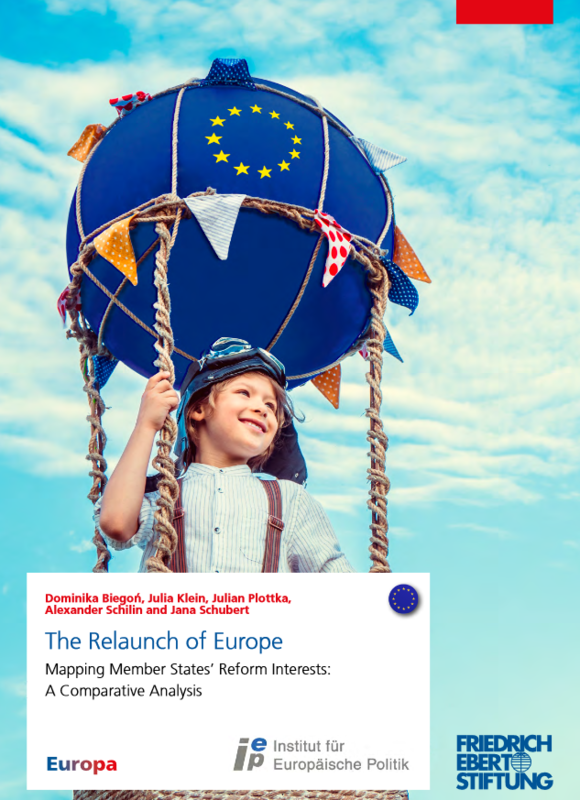 The results of the “RelaunchEU” have been published in an Executive Summary, a Policy Paper, a Comparative Analysis and 27 Country Issues, which can all be downloaded on this website. 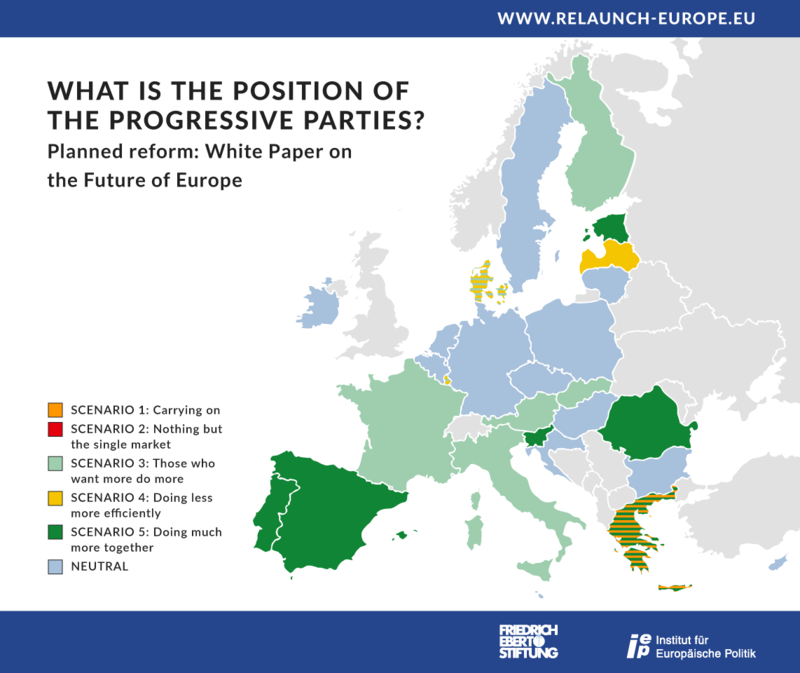 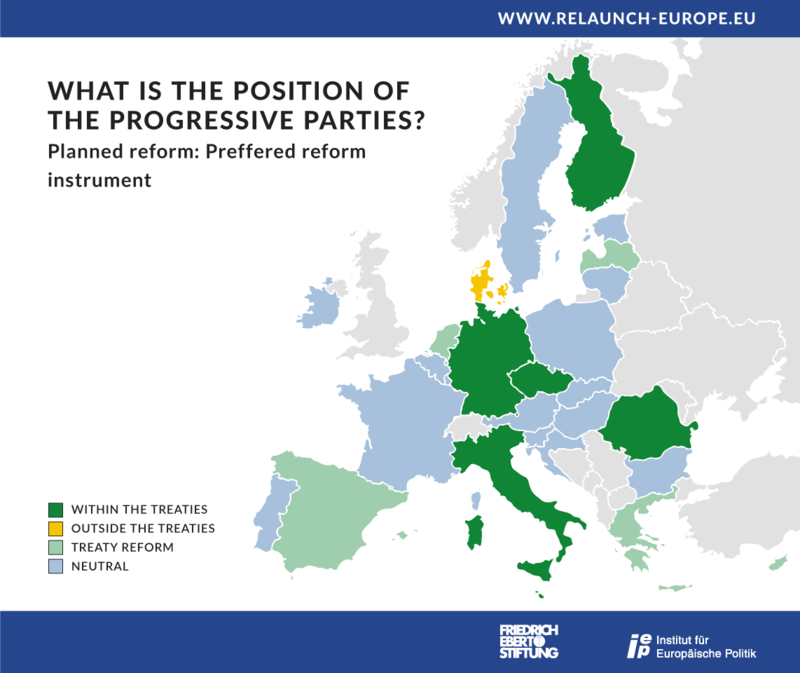 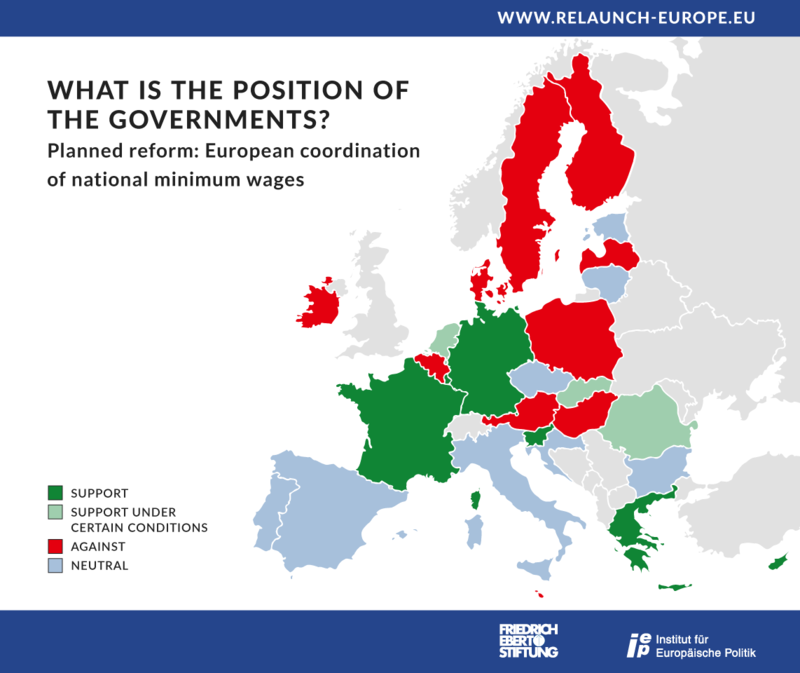 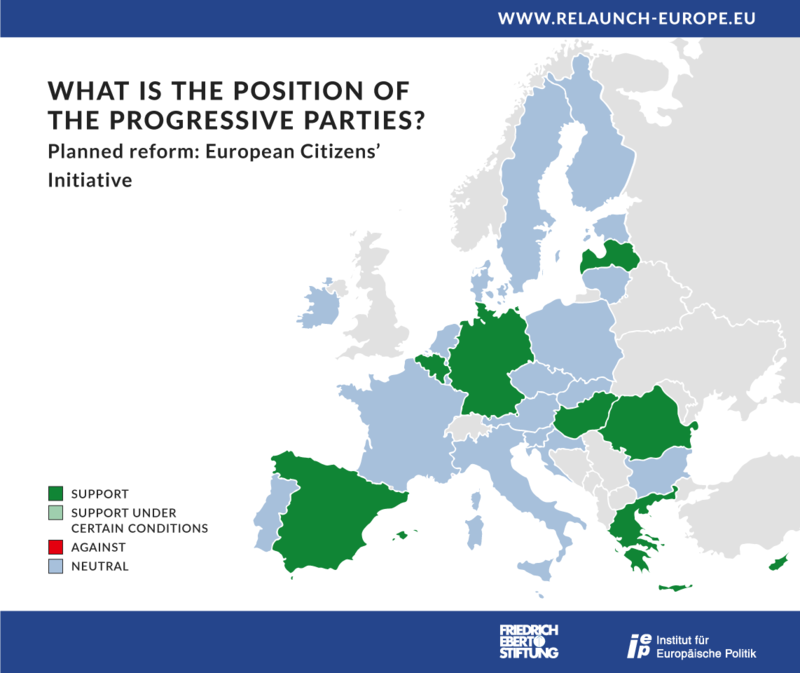 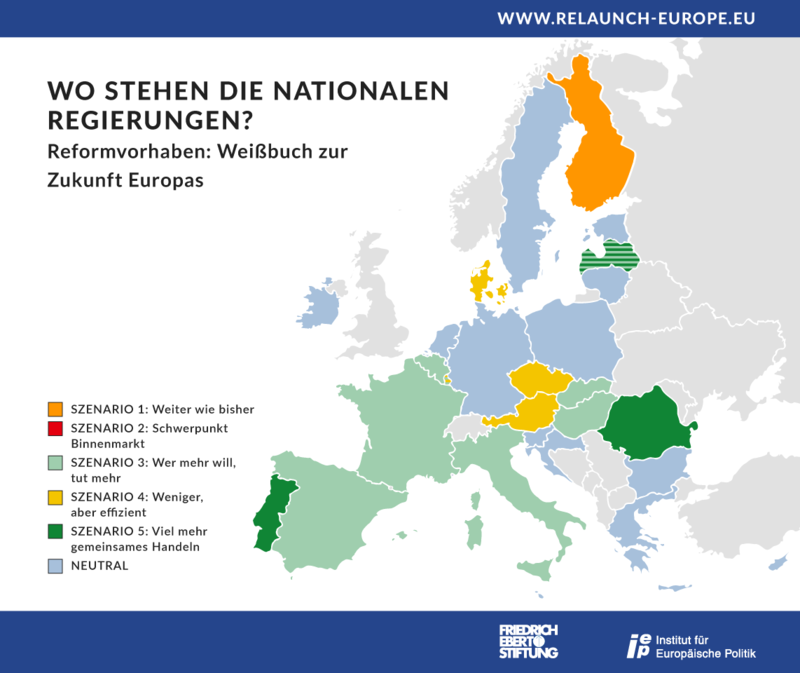 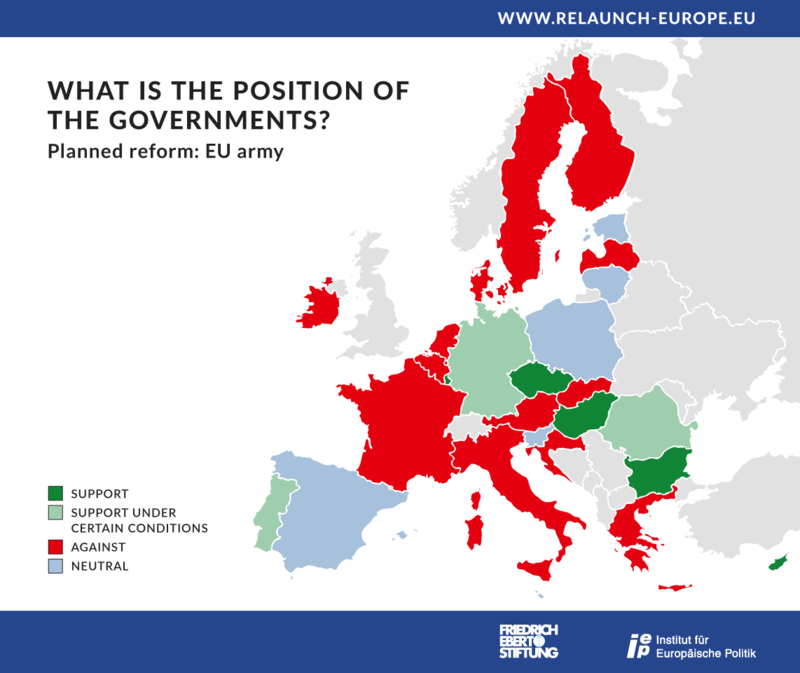 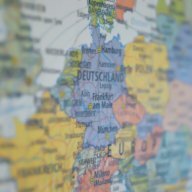 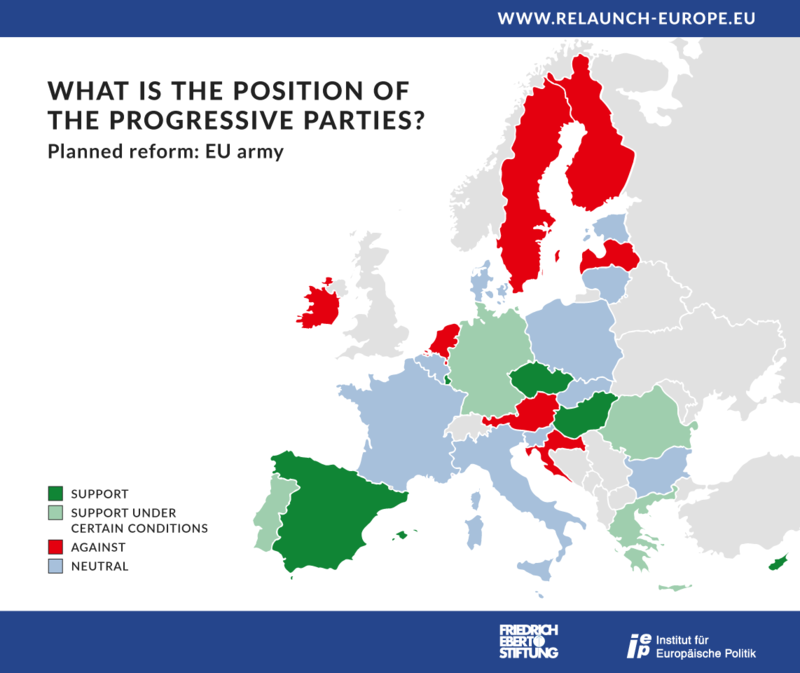 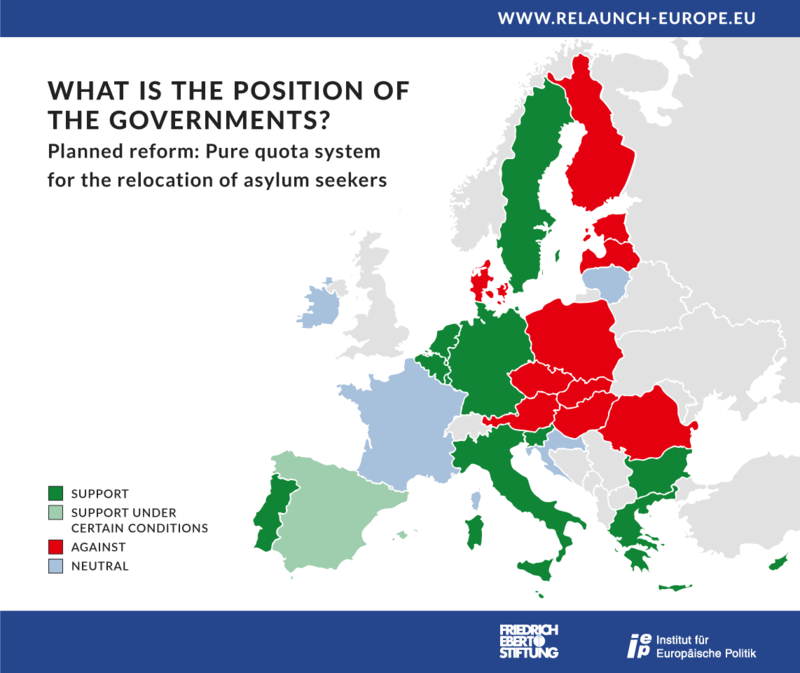 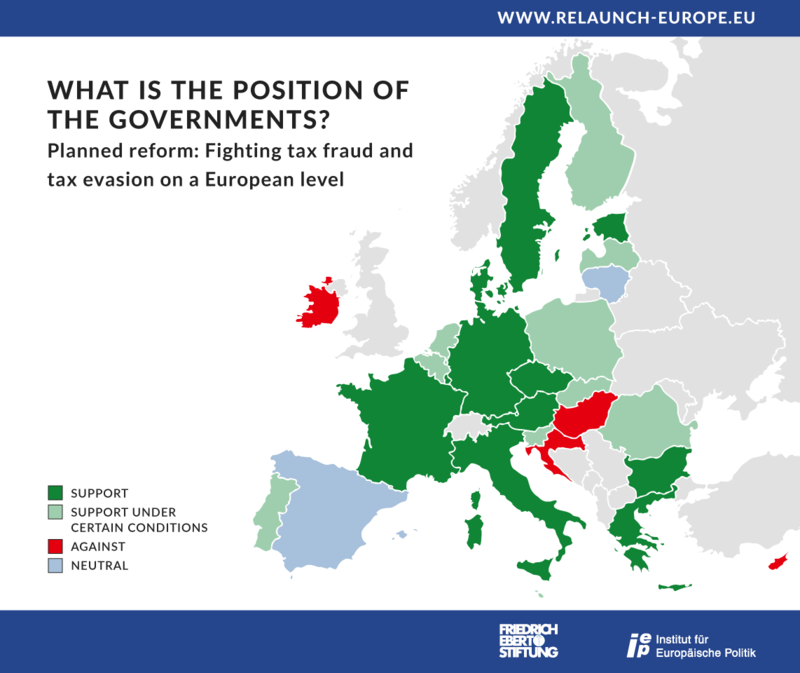 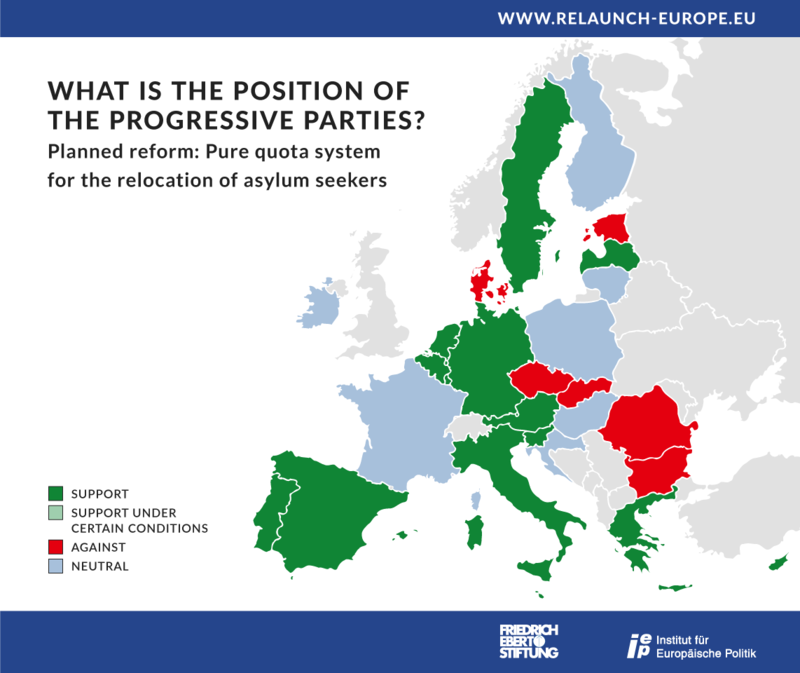 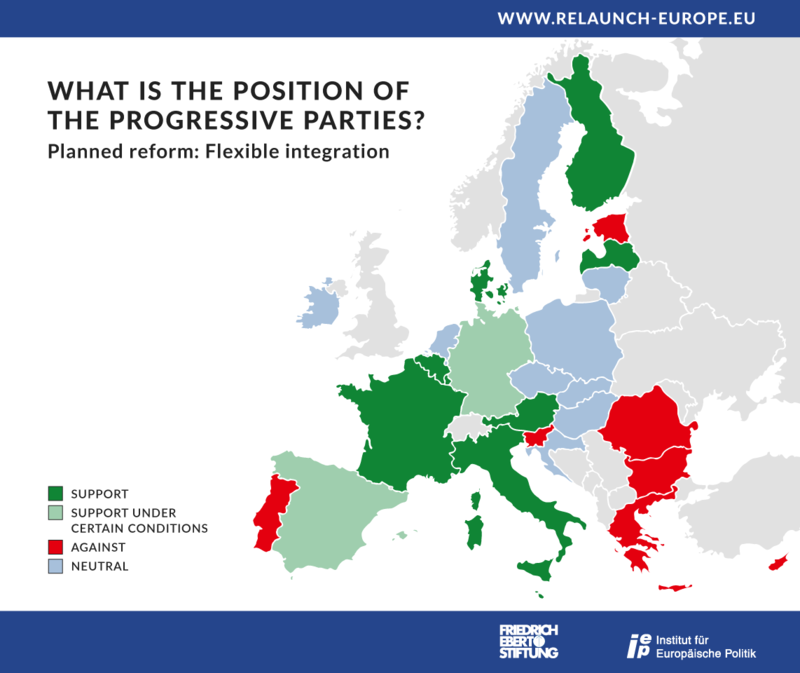 Furthermore, the maps displaying the support from national governments and progressive parties for each reform option can be downloaded as packages in English and German.